Kleer-fax Legal Dividers feature recycled stock with a minimum of 30% post consumer waste. Tabs are laminated for extra-long life and come unpunched so they may be used in a variety of binding systems. 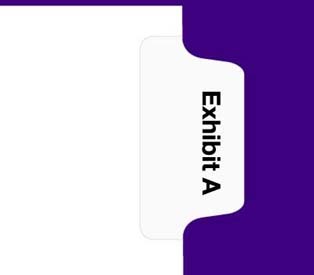 The Kleer-fax 90000 Series features Helvetica Regular type and are interchangeable with All-State® style exhibit dividers.